With the credit crunch, most of us as are looking to tighten our purse strings wherever possible but the good news is that choosing a healthy diet doesn’t have to be more expensive. With a little nutritional ‘know how’, careful planning and shopping you eat healthily without spending a fortune. If you’re on a budget you’ll be pleased to hear that many of the foods that nutritionists recommend for a healthy balanced diet, like beans and pulses and starchy carbohydrates like pasta and rice, are excellent value for money as well as nutritious. Whenever possible choose ingredients retailers own ranges rather than branded items. 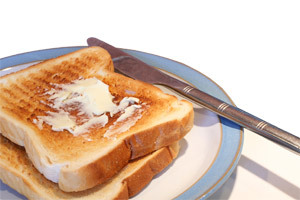 If you start the day with a healthy breakfast such as toast or cereal you are less likely to snack during the day. Canned fruit and frozen fruit and vegetables are often cheaper than fresh and will count towards your 5-a-day target. Canned fish such as salmon or sardines contains healthy omega-3 fats and are good value for money.